Comments: This species is a small, mound-shaped, deciduous shrub to 3-4 ft. Exfoliating bark that has orange inner bark. Found growing in rocky, woodland soils. 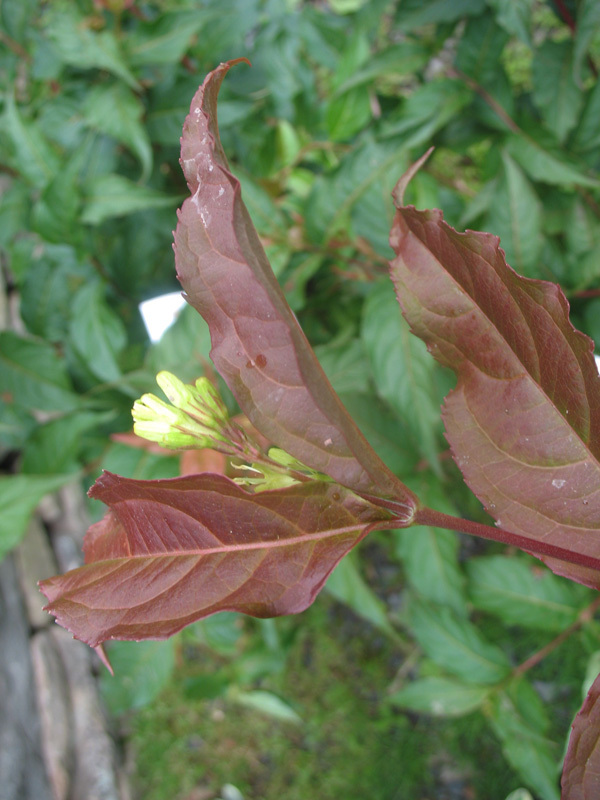 Foliage may turn from yellow to red in autumn. Sucker from base in spring and these can be separated and used to start new plantings.